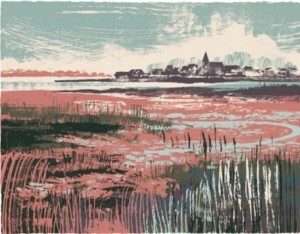 Andy Lovell is a modern British artist, printmaker and illustrator. Born in East London in 1964, Lovell went on to study at Liverpool School of Art and Design and has since had numerous illustration commissions for magazines, books and newspapers. Andy Lovell uses drawing and painting as a starting point for his printmaking, producing mainly silkscreen and lithographic prints.